I'd write about the whole thing, but Australia is enormous! To put it in perspective, it's only about 25% smaller in area than all of the European countries combined! 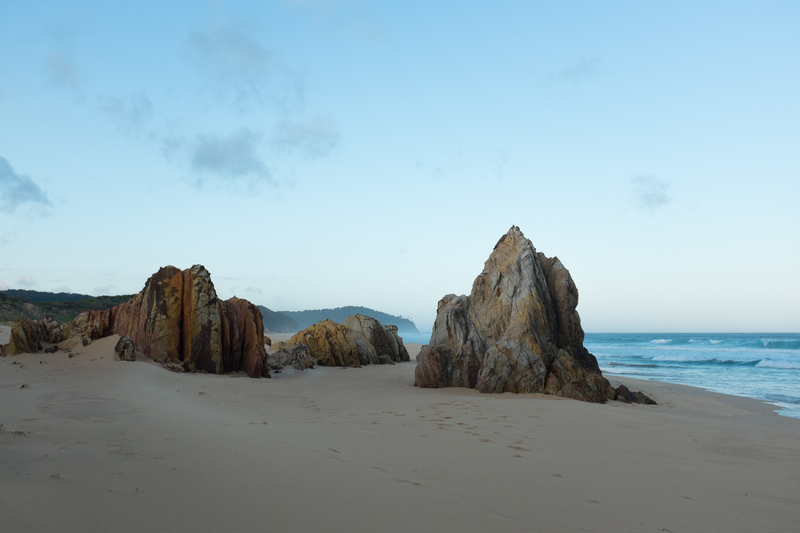 After my time in Tasmania I spent 3 weeks in a camper van driving from Melbourne north to Brisbane, catching all the beautiful beaches and National Parks I could along the way. It was over 1,300 miles (2,000km), but still just a small fraction of the country's coastline (and none of the middle bits). I hope to see more someday, but I think I made a pretty decent start. 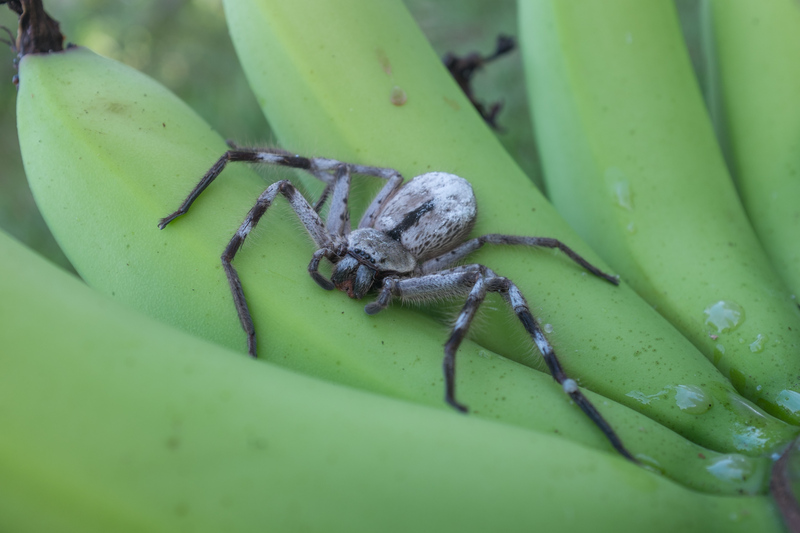 Warning to arachnophobes: this post contains SPIDERS, but it also contains three kinds of adorable marsupials, so it's totally worth it. 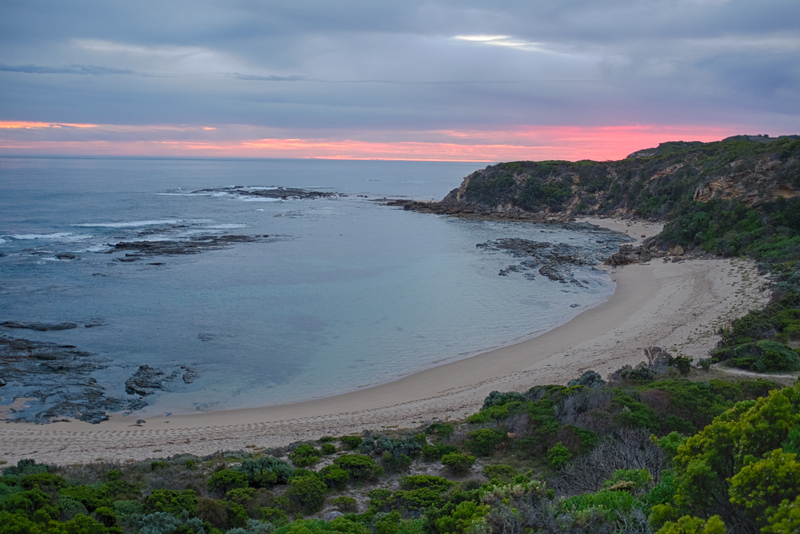 My first stop was along the Great Ocean Road, where we drove through a forest recently ravaged by wildfire. 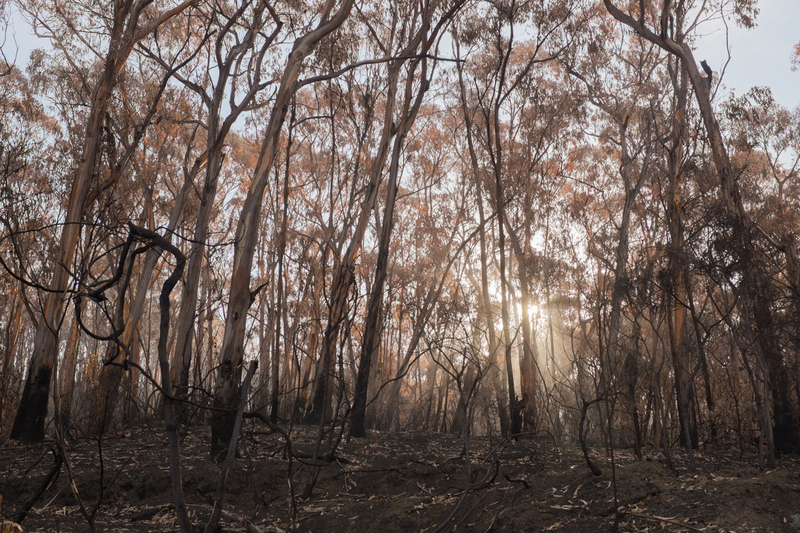 The landscape was desolate and otherworldly, but there were already signs of life: ferns sprouting out of the ash and new leaves breaking through the blackened bark of the gum trees (eucalypts). The Great Ocean Road was absolutely infested with tourists in camper vans (to be clear, I wasn't one of them, I just so happened to rent a camper van and was incidentally also touring Australia). Like most spots in Oz, however, if you hike for half an hour you usually have the place to yourself. This cove was a little slice of paradise. I went back in the morning for a dip in the crystal clear water before moving on. 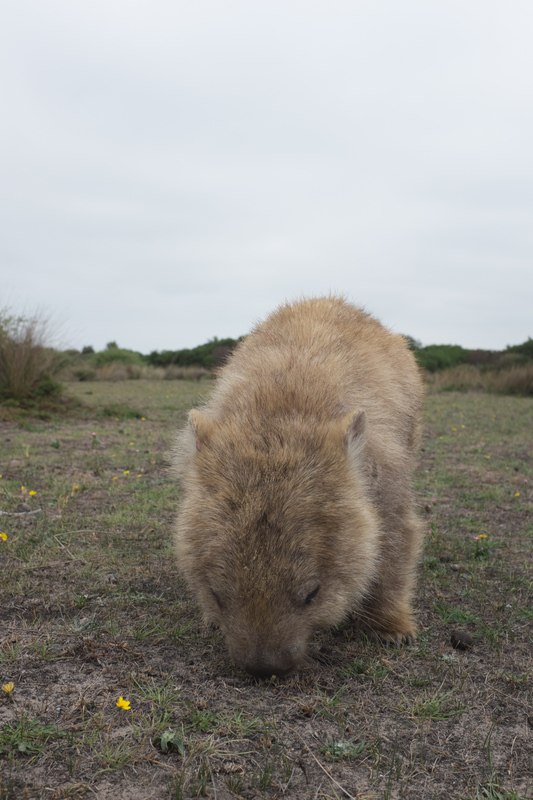 Okay, cutting to the chase: the elusive golden wombat!!!! 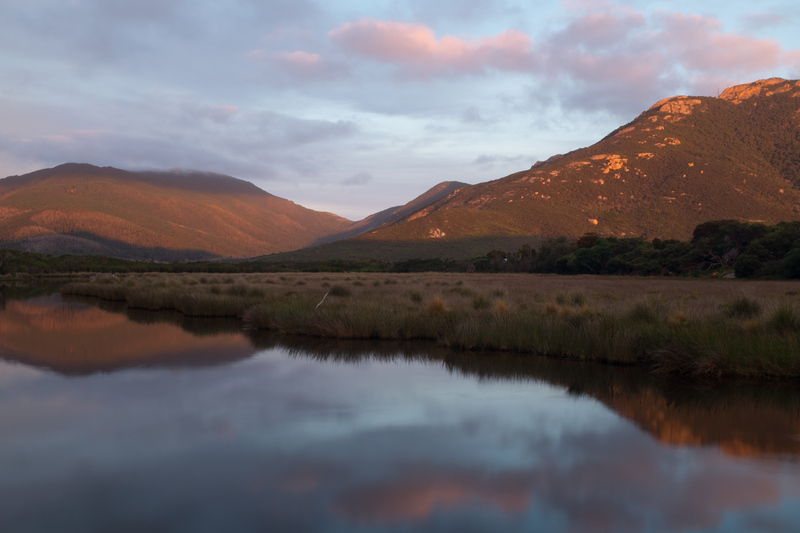 I went to Wilson's Promontory National Park specifically because I was told there were an "annoying amount of wombats" there. 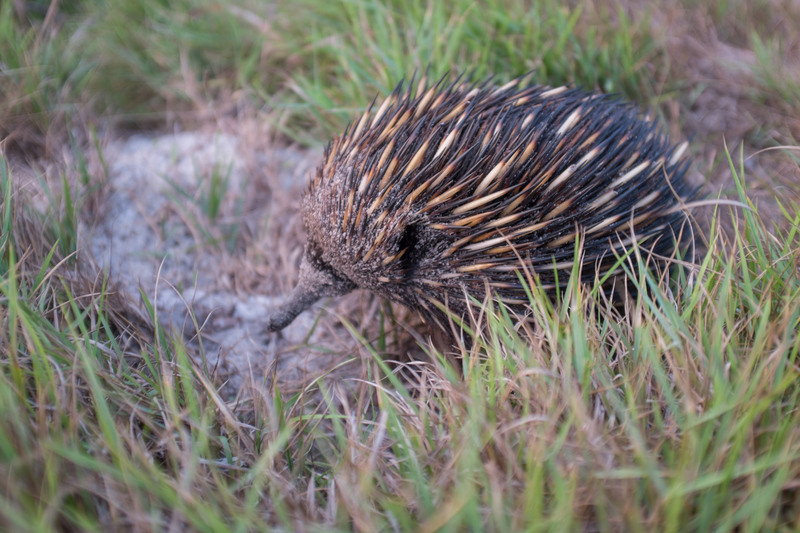 I did see a few of them wandering around the campground at night, followed by curious onlookers with flashlights, but didn't see this little fellow until we were leaving the park. Apparently a rare gene gives them the unusual golden color, so they are almost unheard of in the wild (normally they are grey or brown). 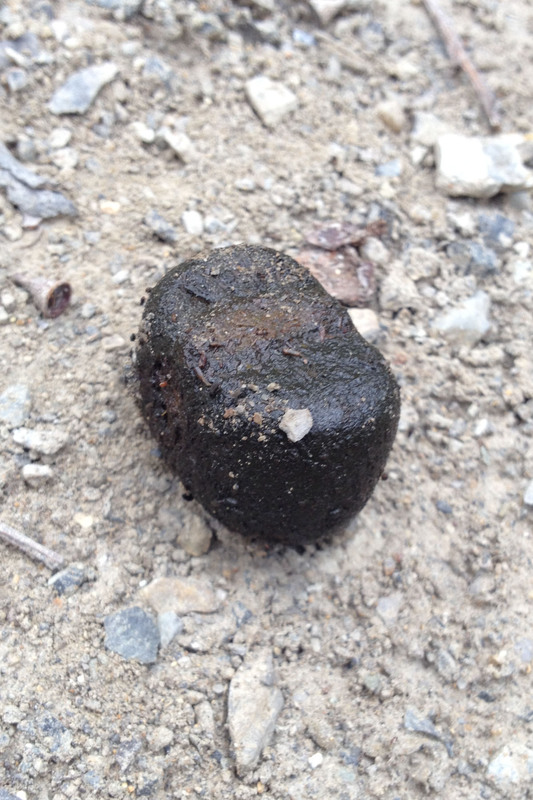 As for the wombat poo? It's actually (more or less) cube shaped, which is one of the many mysteries of Australian wildlife. Nobody knows for sure how they are formed that way, though I have a few theories of my own. And no, their buttholes are not square—you know that's what you were thinking. 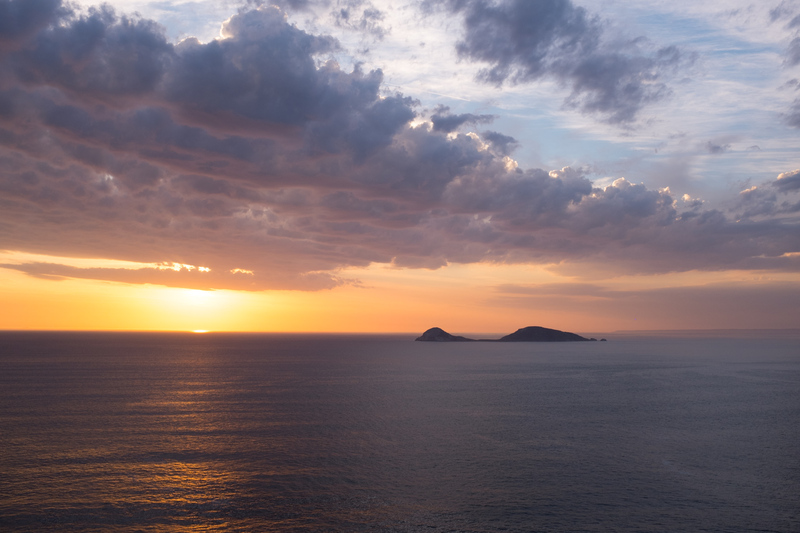 I naturally had a gazillion nice sunset photos, but I'll limit myself to just these two from Wilson's Prom. 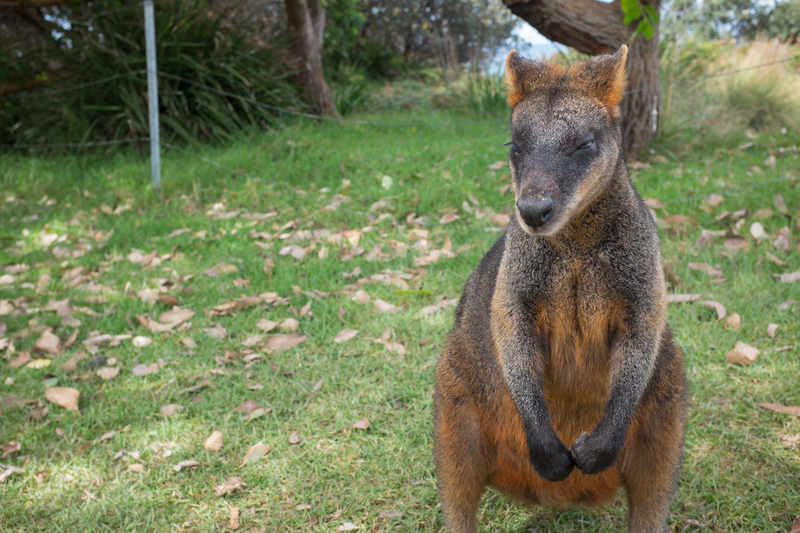 I met this cutie pie at a beach campground that was crawling with wildlife—wallabies like this one, kangaroos, goannas (giant lizards), etc. For some reason this one's ears were abnormally small, due to deformity or injury I'd guess, but they seemed to get along alright. I never get tired of watching these critters move. They are so strange and awkward how they balance on their tiny front legs/arms and their huge tail to take a small step forward when grazing. 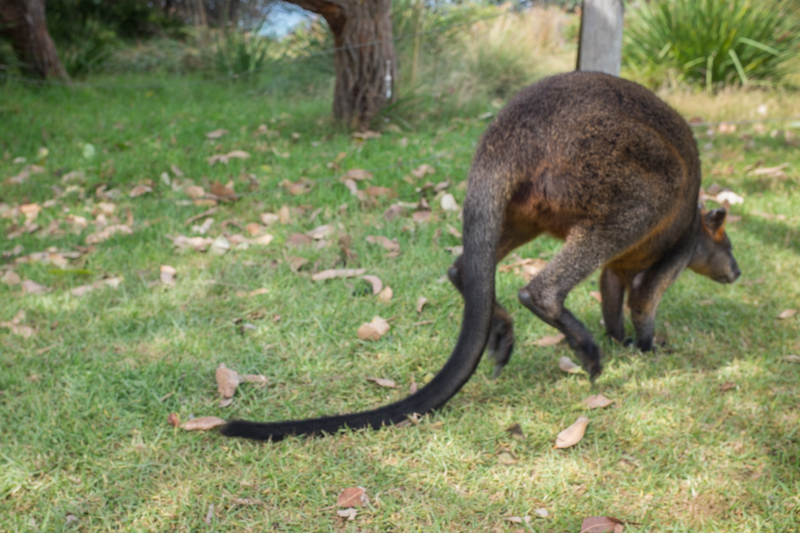 But when they are spooked they can really fly, making huge yet controlled bounds with their powerful hind legs, and using their tails for balance. It's a sight to behold, and put a smile on my face every time I saw it. Speaking of cool critters, I decided these spiders were my favorite Australian architects. 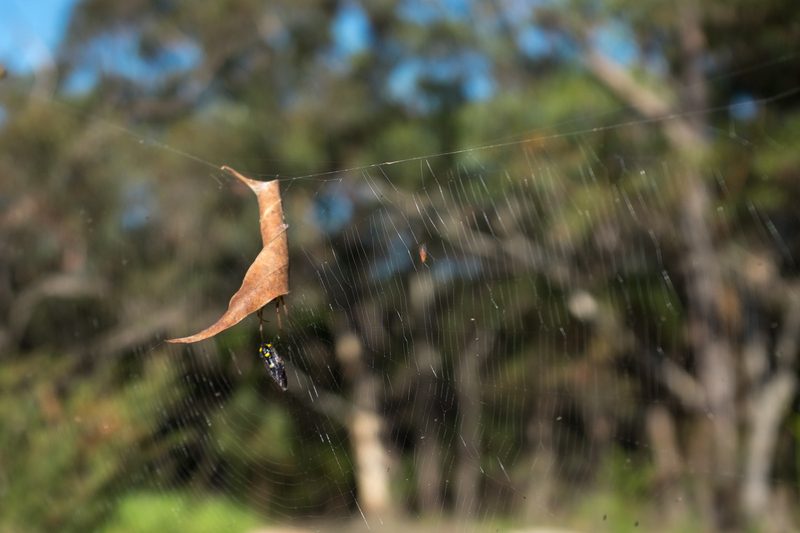 They actually find an old gum tree leaf, curl it upon itself, and incorporate it into their webs as a place to hide from prey (and the rain). I'm endlessly impressed with the webs that spiders weave, but it really blows my mind that they can also use large foreign objects in such an ingenious way. 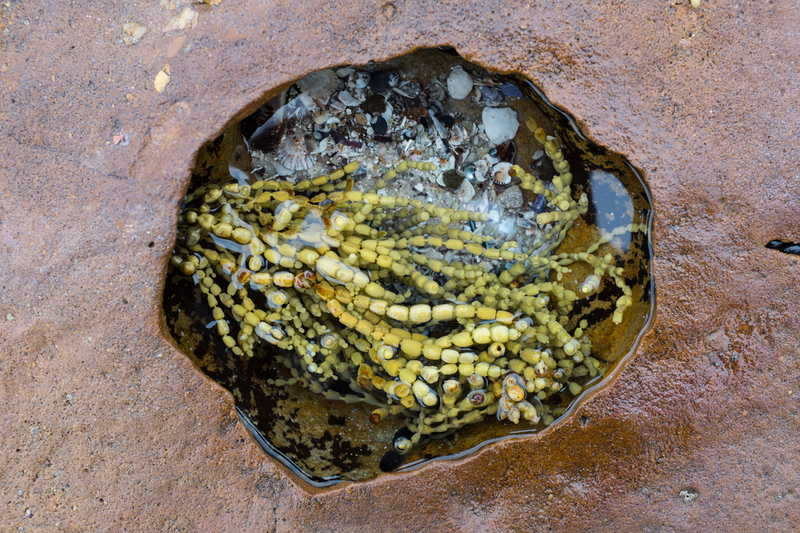 I took way to many beach photos to pare down, so I'll restrain myself after sharing these two. If I recall they're from Mimosa Rocks and Jervis Bay respectively. Behold the Blue Mountains! 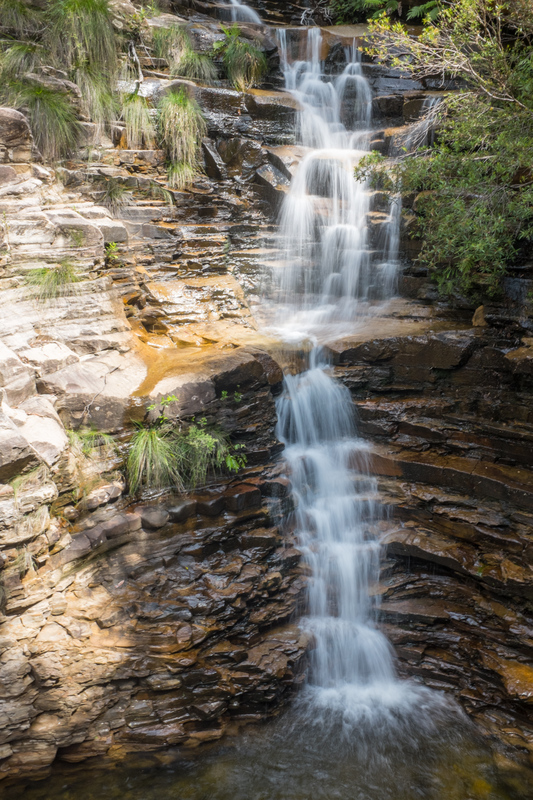 This National Park outside Sydney is very popular, but for good reason. After skimming over the really touristy bits I managed to undertake a 7+ hour trek into the canyon. 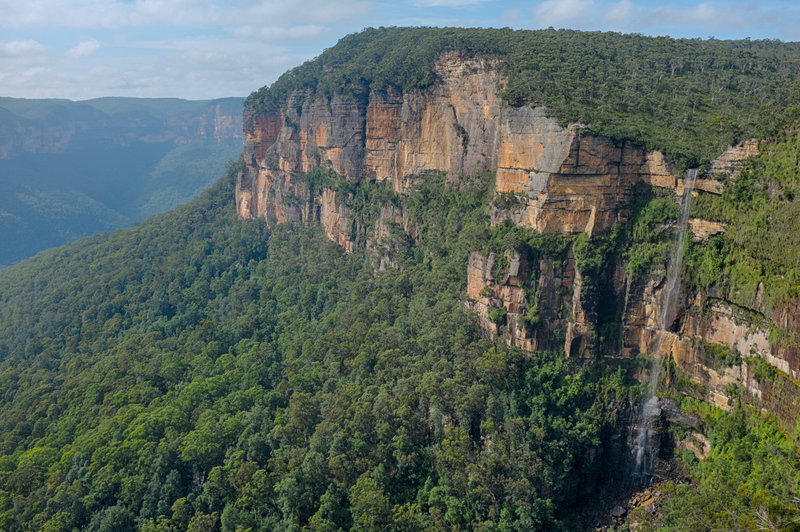 It was down to the bottom of the 590ft (180m) Govetts Leap/Bridal Veil Waterfall (above), through the valley beyond, up another series of waterfalls (left), and back via the cliff edge. I got a lot of mixed but foreboding information about the hike: don't go alone, take a rescue beacon, notify the police of your plans, bring an extra day's food, and as they say everywhere in Oz: "just don't get bitten by a snake, or you'll die." I didn't take all of those precautions, but after I saw a group of school children tumbling out of the bush and asking me for directions, and another pair making the same trek with nothing but one liter of water between them, I realized I was more prepared than most. As usual, the stunning natural beauty and wildlife was well worth it. A couple more critters from the road. 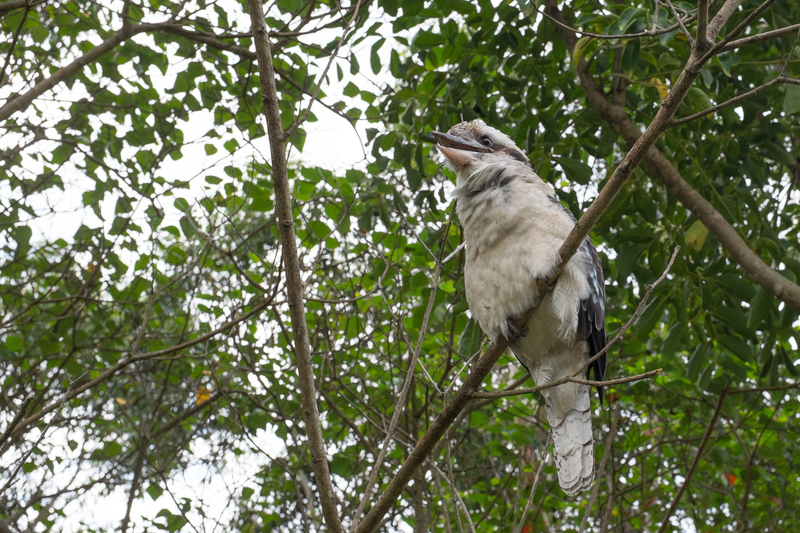 You know that children's song "kookaburra sits in the old gum tree...?" (If so, I'm sorry I reminded you of it.) Well this is a kookaburra! They are like oversized kingfishers, who have this amazing song that sounds like an excitable monkey. And yes, I saw many of them sitting in old gum trees. They last few photos are from after my road trip, when I was working on a banana farm and, separately, working with a family who makes tempeh (but I'm sure you read that blog post already). These are both sunrise photos. I am not a morning person, but they were so beautiful I didn't want to miss them! The first is from the "tempeh farm." 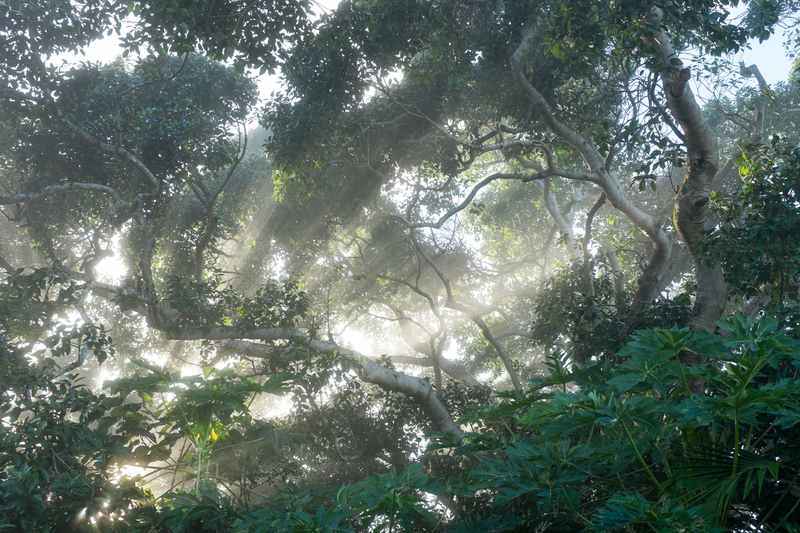 This enormous fig tree marked the end of their driveway, and the morning mist floating through it was an incredible sight. The second is from the banana farm. 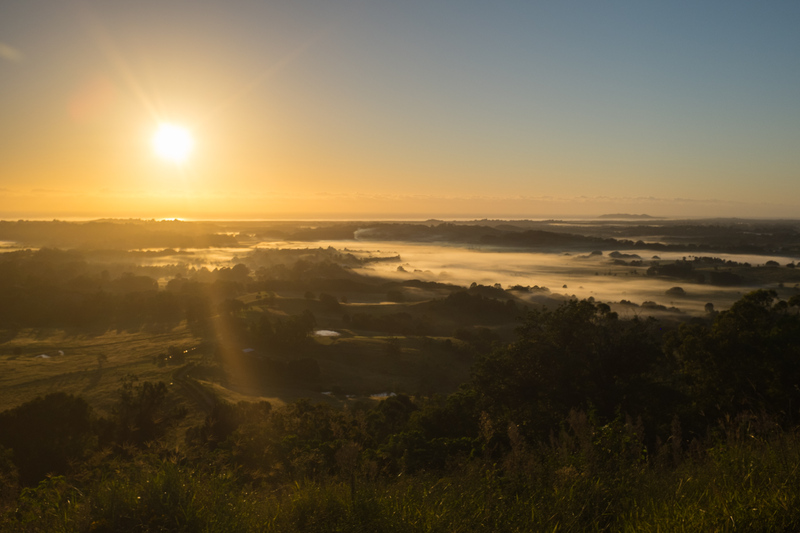 Every sunrise there was remarkable, but this one, with patches of fog hanging in the valley below was something else. 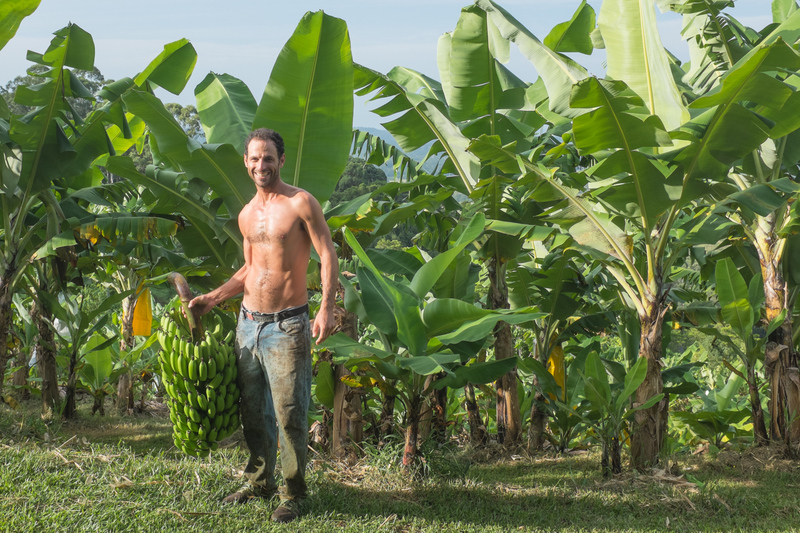 My week at the banana farm ended up being pretty relaxed, but I did get to try my hand at all the aspects of banana farming, and learned a lot in the process. Most notably, did you know a banana tree only produces one bunch of bananas (like the one I'm holding) in its lifetime?? I had no idea. It takes about a year, then it's chopped down at harvest, and another springs up from its roots to take its place. Remember that spider warning? No, those are not baby, miniature bananas! This one is a relatively harmless Huntsman. I'm used to spiders that occupy such a small scale that all I ever have to do is blow on them and they fly away. This one had some definite weight to her though. Also, as promised, three kinds of marsupials. It wouldn't be right to sign off without including a koala, so here you are. 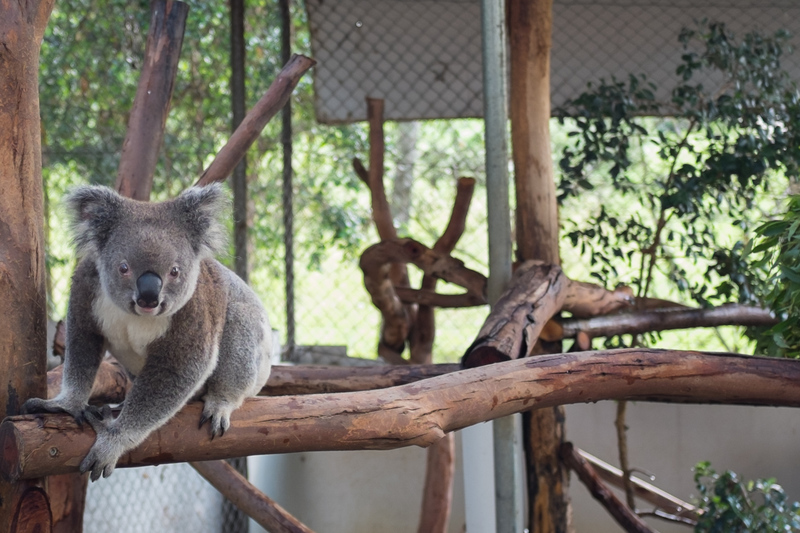 This one, "Baby," is at a KOALA HOSPITAL close to where I was living. It's all caps because anytime I thought about going I would be screaming the words KOALA HOSPITAL in my head out of giddy excitement. Unfortunately due to health issues Baby is a permanent resident. Not ideal conditions, but they seem to take good care of her, and I'd much rather see her there than a zoo or a tourist trap "animal park." I did actually see a wild one in the trees right near the hospital though! Of course s/he was sleeping, as they do 18-20 hours/day. The whole time I was thinking about the late, great Mitch Hedberg, so I'll leave you with a link to his koala infestation bit.